Injured in a Motorcycle Accident in Tennessee? You need the best motorcycle accident attorney on your team. Motorcycle riders who are injured or killed in crashes usually don’t get the benefit of the doubt. Often, police arriving on the scene will assume that any given accident was the biker’s fault. At Keith Williams Law Group, we know that many motorcycle accidents are clearly NOT the biker’s fault. We believe that injured riders should recover damages in a court of law for their injuries and that family members should be compensated for the wrongful death of a loved one due to a motorcycle accident. Car drivers who are unfamiliar with the physics of motorcycles, and don’t accurately judge the motorcycle’s weight and speed when merging, turning, or changing lanes. Unsafe road conditions, which may be attributable to the negligence of the municipality (say, a pothole on a road that has been reported numerous times, but still has not been repaired). Drivers who tailgate motorcycles, usually in an attempt to get their operators to change lanes or yield the right of way (since many people are uncomfortable driving behind motorcycles) or who are operating their vehicle recklessly or even driving under the influence. If you try to recover damages from the at-fault driver in the wake of a car accident or truck accident, their lawyer will most likely attempt to show that you contributed to the incident, either by speeding, weaving inappropriately between cars, riding two or three abreast in the same lane with other bikers, or climbing up onto the shoulder of the road to avoid a traffic jam. In the most successful lawsuits, a rider can demonstrate that he or she did not contribute in any way to the accident, and that their injuries are directly attributable to the recklessness or negligence of another driver (or the failure of the municipality to maintain the road or its signals). Winning your motorcycle accident case is no accident! It takes experience, dedication, skill and hard work to fight for your rights and recovery. If you have been injured, through no fault of your own, while riding your motorcycle, you are entitled to the same rights as the driver or passenger of a car, truck, or SUV, including an award to compensate you for the damage to you and your property. If you have lost a family member in a motorcycle accident, you could be compensated for the wrongful death of your loved one. Questions? Call the motorcycle accident attorneys at Keith Williams Law Group today. Our experienced and professional personal injury attorneys will be happy to offer you a free no hassle consultation. If you have been injured in a motorcycle accident call and speak to a personal injury attorney at Keith Williams Law Group on 615-313-3999. Our experienced motorcycle accident attorneys help people throughout Middle Tennessee including Lebanon, Carthage, Gordonsville, Mt Juliet and Watertown. Who can file a lawsuit for death or injuries resulting from a Tennessee motorcycle accident? If the motorcyclist is injured, then they may file a lawsuit for their injuries against the at fault person. 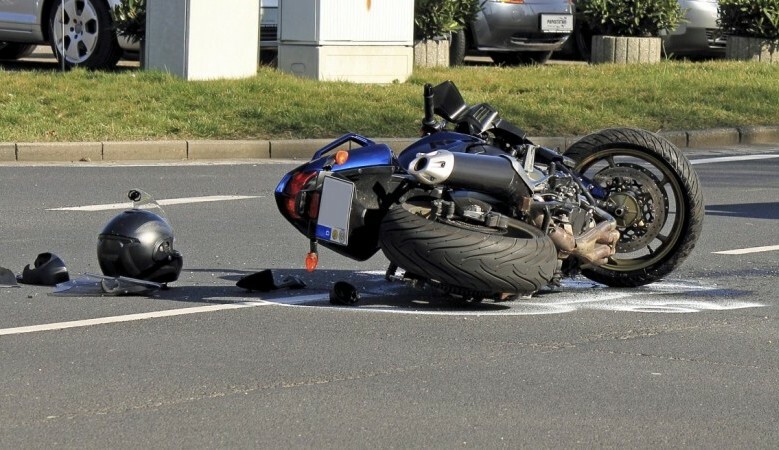 If the motorcycle accident resulted in a death in Tennessee, or if the victim is permanently incapacitated, the next of kin of the deceased or permanently injured biker has the right to bring a claim against the responsible party. Do you need a good injury attorney in Nashville? We can help! Most all injury attorneys in Tennessee will give you free consultations and most all work off the same pay scale (injury attorneys get paid out of the settlement or award they obtain for their clients). Therefore, the attorney needs to either 1) open LOTS of cases and settle them as quickly as possible so they will make money and not have to go to court, or 2) operate like we do. We offer free consultations and we don’t get paid until our clients do. However, we are selective in the cases we take – we will talk to you in depth about your case and discuss the merits of it and if (or if not) we’re the best attorneys for your case. And, unlike other attorneys, we aren’t “settlement lawyers” who are out to settle your case as quickly with as little fuss as possible. We are trial attorneys, which means we like a little fuss! We will try to negotiate with the other side for a fair settlement and, if they make one you’re happy with – great, we’ll settle it. However, if they lowball you and don’t take your case seriously, we won’t hesitate to take them to court. And we have an excellent success rate when we do try cases. Insurance companies know this about us, which means you are more likely to get a fair settlement offer earlier in your process. However, in the event your case does go to trial, we have years of experience trying cases – and winning – in front of Tennessee juries and judges. Who can be sued and held responsible for injuries or death to motorcycle operators and passengers? How important is the investigation of my motorcycle accident to bringing a successful case? It is very important to the success of a motorcycle accident case for it to be investigated as soon as possible. Facts don’t change but evidence is altered and lost by simple things such as exposure to weather and evidence being misplaced. A timely investigation of any motorcycle wreck is essential. In addition, the insurance company of the at-fault driver will always attempt to prove that the motorcyclist was at fault to some extent. This attempt on the part of the responsible party’s insurance company is in hopes of making it look as if the motorcycle operator is at fault in some way. If you or a loved one have been involved in a motorcycle accident, please call or click to discuss your claim with a real attorney at The Williams Law Group. We can help!